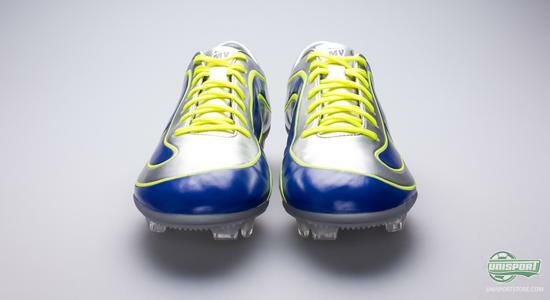 In usual Nike style, they celebrate that it is now 15 years since they introduced their extremely popular Mercurial-silo  and they do so with a modern interpretation of their very first Mercurial-model. The boot is the R9 Ronaldo World Cup special  which will arrive in a very exclusive and limited stock-amount. 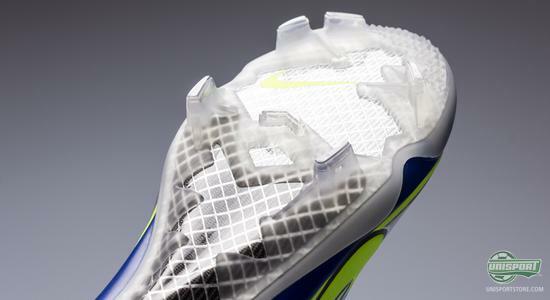 Take a closer look at the Nike Mercurial Vapor XV right here. 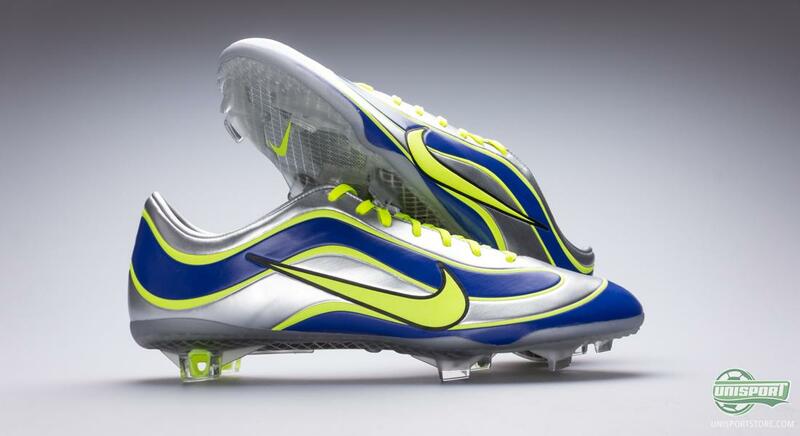 1998 would be a year that shock the world of football boots to its foundations, as it was here Nike launched their very first boot, in the now legendary Mercurial-collection, which would soon evolve into the currently most popular boot on sale. 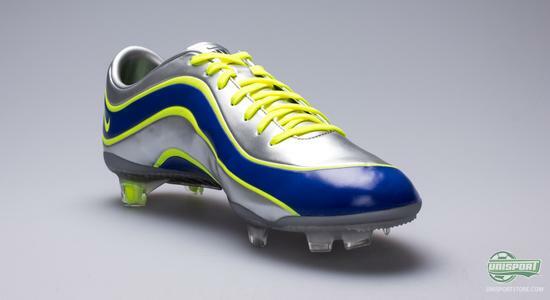 You can already now get your pair of the exclusive boots. 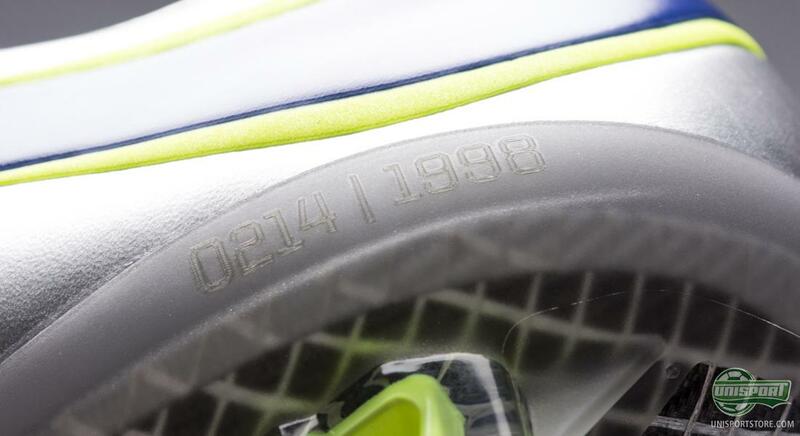 Pre-order your Nike Mercurial IX SR 15th Anniversary right here! - just 295. 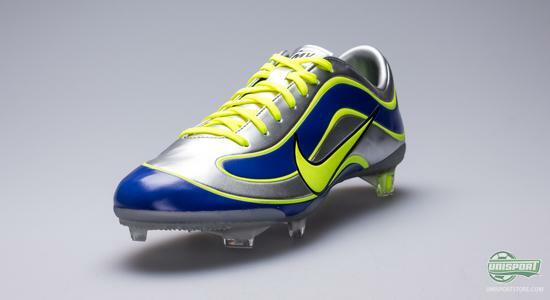 Here the Mercurial R9 saw the light of day and it quickly found its way to the best striker of his time; Ronaldo Luís Nazário de Lima from Brazil, who used the R9 boots in the semi-final and final of the 1998 World Cup. 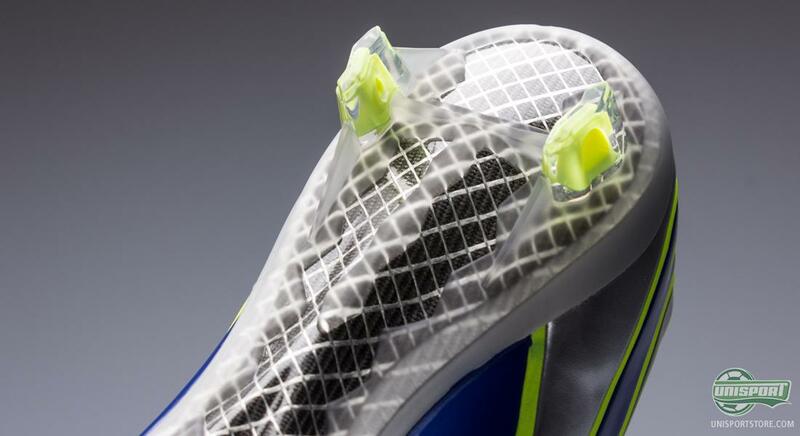 The tagline for the Nike Mercurial launch, Ultralight, so your legs can be as fast as your imagination, spoke to Ronaldo's unparalleled creativity and speed. Ronaldo not only captured the imagination with his style, speed, skill and incredible eye for goal, but he also reignited the reputation of Brasilian football. His influence continues to this day as he guides the likes of Neymar on their attempts to follow in his footsteps. 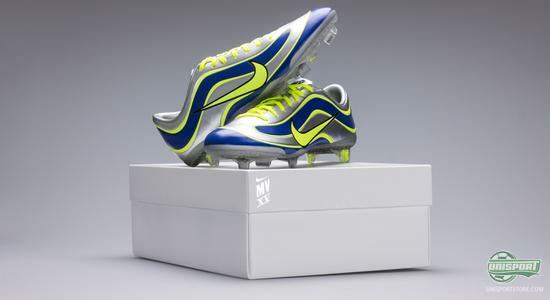 To celebrate the Mercurial-collections 15 year anniversary Nike have launched a special boot, which is inspired by the very first Mercurial-model from 1998  resulting in the Nike Mercurial XV SE 15th Anniversary Edition, which there will be made just 1998 pairs of around the world. The boot is inspired by R9's Nike Mercurial I, which, with its colour combination of Silver/Blue/Yellow stood out in a time where Black/White boots dominated the scene. Ronaldos impact on the game 15 years ago was immense, and in the run up to 2014, we wanted to celebrate that boot and the man himself. We thought a modern construction of his 1998 boot would be a great commemoration of that moment. said Phil McCartney, VP Nike Football Footwear. 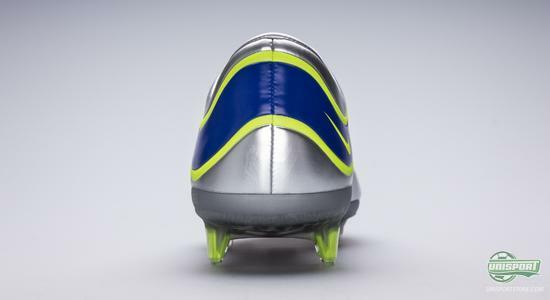 The boot itself is based around the current Vapor IX, when it comes to fit, but has on top of the graphic design been given a few central changes  among the most noticeable is the upper material, which is completely new and without speed control. 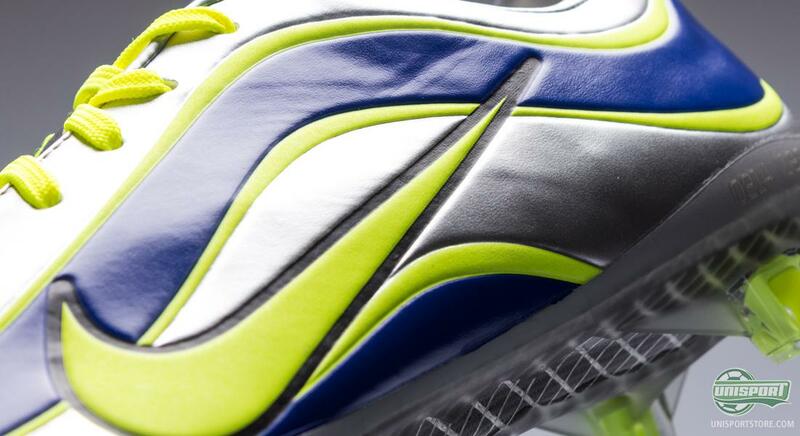 The upper material emulates that used on the first Mercurial R9 and is therefore a little adhesive and gripping, on top of having a slightly textured surface - it is still made with Teijin OLM 12, but the finish itself is new when compared to the other Vapor IX models. At the same time it naturally also has ACC incorporated  one of just many major changes from 1998 to 2013. About the boots construction Phil McCartney says: In the years since the first Mercurial boot was created, modern construction has allowed for a more refined way of making boots. For example, the original version of this boot was constructed of multiple materials stitched together. This version is a one-piece, seamless upper as per other Nike Vapor Mercurial IX editions." The sole on the Mercurial XV SE 15th Anniversary Edition has adopted the Vapor IX's fibreglass material and stud-configuration. This is very much unlike the original 1998-boot, which has been trimmed and optimised in accordance with current times standards, so it is both light and springy. 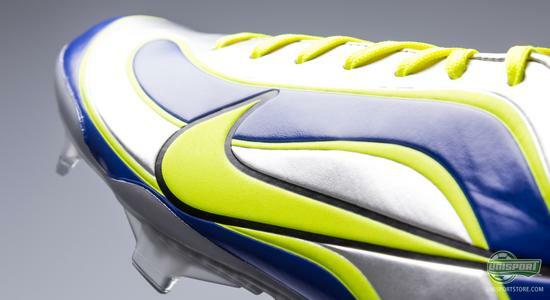 With 15 years on its back, the Mercurial-collection is in and among the most highly profiled boots on sale and it has seen many technological advances. 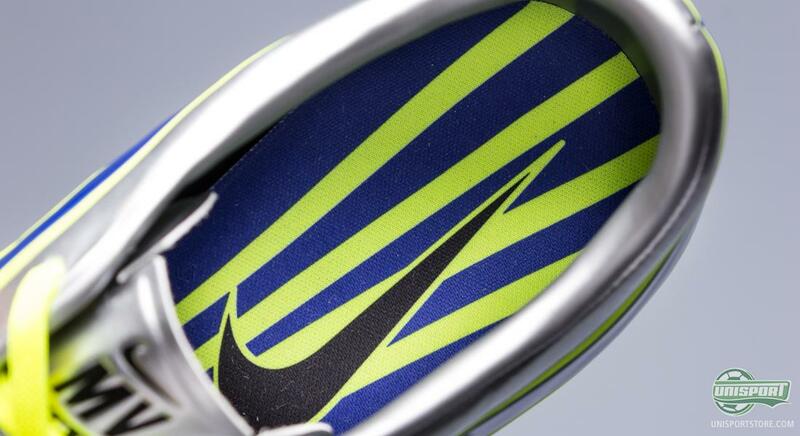 Some of the most notable have been NikeSKIN, Carbonfibre, Flywire and NikeSENSE-studs, which have all undeniably contributed to the undisputed success of the Nike Mercurial-collection. 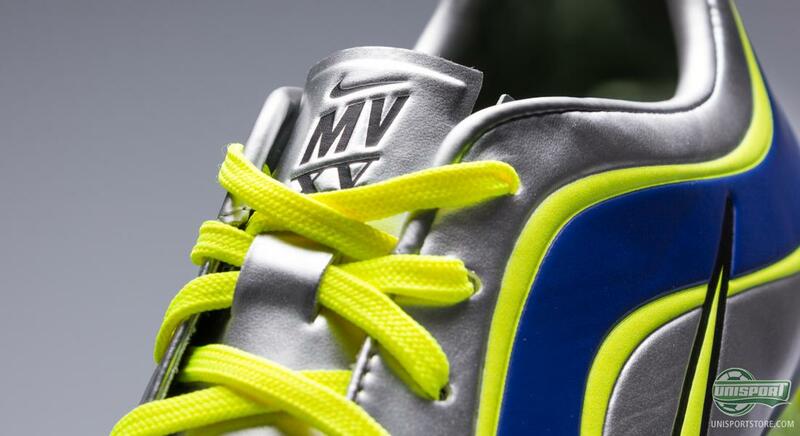 The Mercurial XV SE 15th Anniversary Edition comes in a greatly limited stock of just 1998 pairs around the world and you can naturally get your pair here with us. What do you think about Nike's special and exclusive homage to the Mercurial-collection and its glorious 15 year history? Is the Mercurial Vapor XV SE something you might like and who is the coolest ever Mercurial-player throughout the years? Share your thoughts with us down below.